Spreading Love with some TPT Cash!! We are so excited for the holiday season that we couldn't help but spread some love! Lots of your favorite TPT Teacher-Authors and I have teamed up to give YOU some TPT spending money. We love you and appreciate you (and we wish we could give all of our fabulous followers some money)! 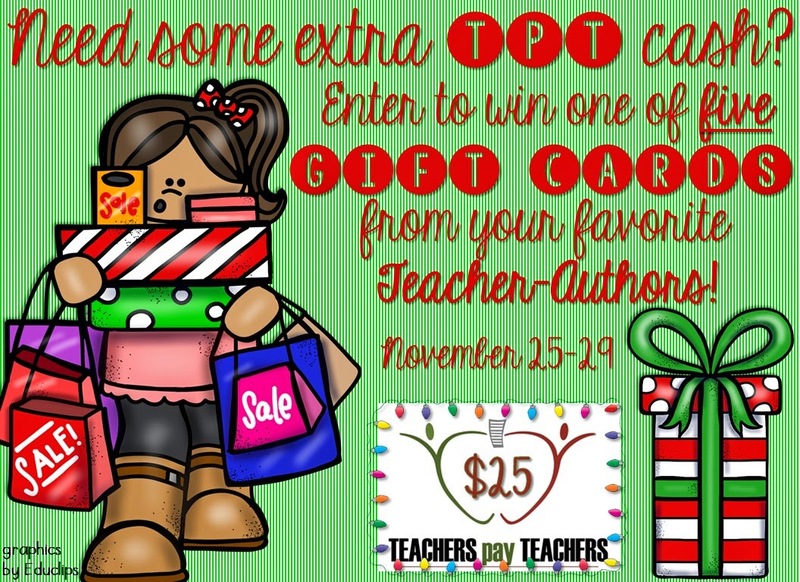 Enter the Rafflecopter below by simply following our TPT stores, and you will have a chance to win one of five $25 TPT gift cards! Good luck! Just click the link to enter! !